GARY, Ind. (WLS) -- Gary police are looking for the man charged in the shooting deaths of two 18-year-old men whose bodies were found last week in northwest Indiana. 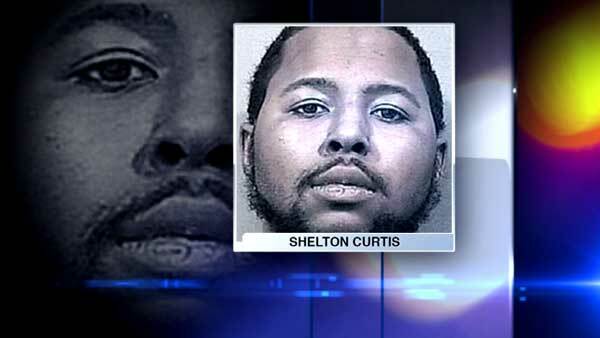 Shelton Curtis, 22, was charged with two counts of murder in the deaths of James Powell, of the 2400-block of Whitcomb Street in Gary, and Raymond Washington-Whitehead, of the 8600-block of Illinois Street in Merrillville. Police found one victim outside the house in the 1100-block of Lane Street and the other inside the home last Thursday afternoon. The Lake County coroner's office said they died of gunshot wounds and ruled their deaths homicides. Authorities said Curtis is considered armed and dangerous. Anyone with information on his whereabouts should contact Detective Sergeant Jenkins or Detective Dickerson off the Lake County/Gary Metro Homicide Squad at (219) 755-3852 or the Gary Police Department at (219) 881-1260. Two bodies were found at a Gary, Ind. home.